Situated on the top of Bana Hills Mountain range, a well-known complex entertainment address in Vietnam and recently worldwide-famed by the Golden Bridge, Mercure Danang French Village Bana Hills exclusively boasts breathtaking views to natural landscapes and fantastic Danang city from 1487 meter height above sea level. 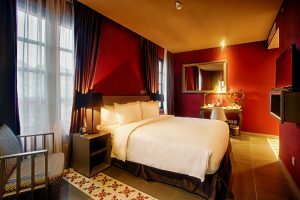 Taking inspiration from ancient French Village, Mercure Danang French Village Bana Hills is thoughtfully designed in the Gothic architecture in 19th century. 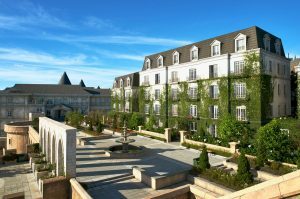 The French touch of the hotel emerged into the unique weather with 4 seasons in a single day draws a picturesque French Village above the clouds makes this a perfect choice for a romantic getaway.